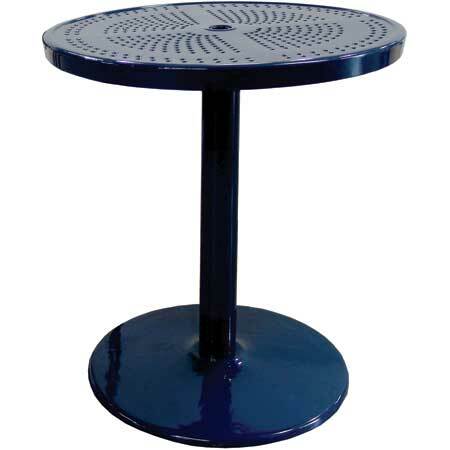 [XPB-36TAB-X] The Garden Table is 36" in diameter and is constructed in heavy duty sheet metal featuring a perforated metal top. Garden table is coated entirely in Thermoplastic, a durable weather resistant color coating available in 16 Color Choices. Choose from 2 Table Heights. Pair with matching Chairs, Stools and Umbrella for a full ensemble sold separately. For shipping quotes, discount pricing, orders or questions please call our Customer Service Center at 1-877-483-9270.